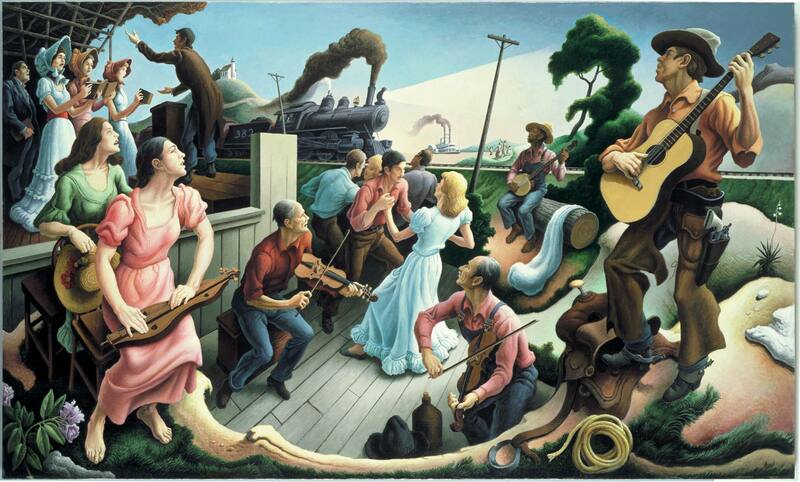 Thomas Hart Benton’s last painting, the ‘Sources of Country Music’ in the Nashville Country Music Hall of Fame presents five distinct scenes that show the music of ordinary Americans and preserves an image of American folkways. It also pays homage to the country music singer Tex Ritter, who had helped to persuade Benton to accept the Nashville commission but died before it was completed. The train is the only element of the complex composition that Benton felt he couldn’t get quite right. Unfortunately, Benton died while standing before the mural in January 1975, trying to decide whether to repaint the train. 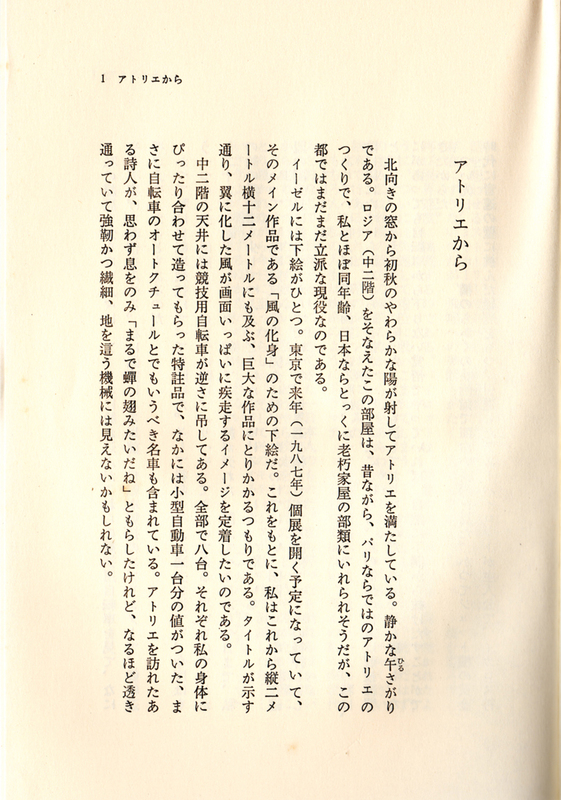 As one of my pet projects I hired someone to translate Hajime Kato’s (加藤一) Autobiography. 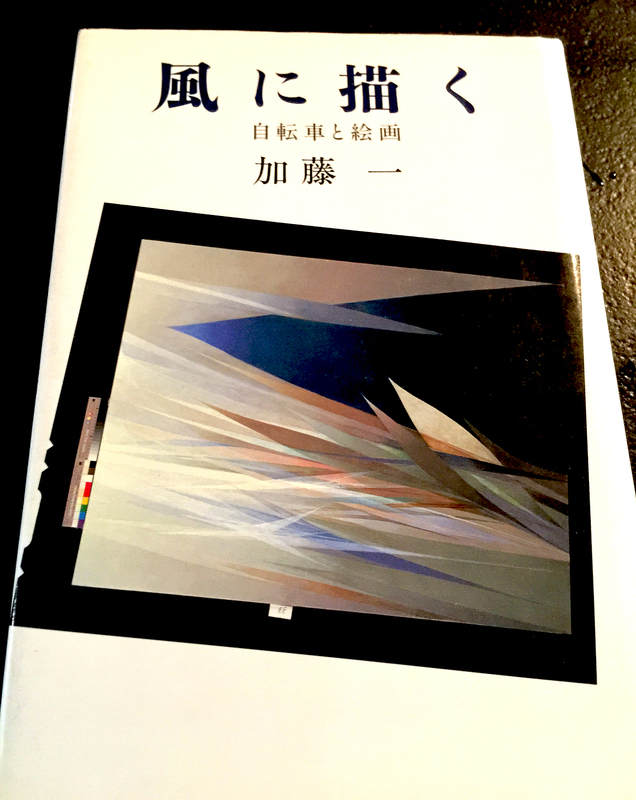 I can’t imagine there is enough interest in actually publishing an English version of the book, so for the time being this is just for my own interest. The project began last year and we are slowly picking away at it. I hope to have it complete by the end of 2016. The autobiography was originally published in 1987. Here’s a short excerpt from the intro. Keep in mind this has not been “edited”. Soft light of early autumn coming through the northern window and filling my atelier. It’s a quiet afternoon. I’m working in a classic atelier with entresol in Paris that’s as old as me. If this were in Japan, this type of building would be condemned, and no one would want to use it. However, here in Paris, it’s still very much usable. One draft sketch on the easel. I’m planning to have a private show in Tokyo in 1987, and this is the draft for one of my signature works, “transformer of the wind”. Based on this sketch, I’m going to create a large painting that’s 2 meters by 12 meters. Being loyal to the title, I’d like to paint the dynamic image of the wind’s transformation into wings filling the canvas. My racing bikes are hung upside down from the ceiling . I have 8 of those in total. Those bikes are specially ordered to perfectly fit my body type. I even have so-called “haute-couture” bicycles that could cost as much as a small car. A poet who’s visited my atelier before was amazed, describing it as “cicada’s wings”. He’s right, it’s almost transparent, very light, delicate and strong at the same time, and hardly looks like a device that crawls on the ground. Those who don’t know about my biography get somewhat weirded out when they look at those bikes hung in the atelier. In fact, before I became a painter, I used to be a cycling sprinter and cycle racer. Bike-racing was my everything back then. However, in later years, I separated myself from the past and moved on as a painter. Painting became my life, and I came to Paris. It’s been 29 years already since I made that decision. Luckily, since the day I sold my first painting, I’ve met people who became fans of my art little by little and I have been able to feed myself. However, I have say, I haven’t completely separated myself from the world of bike racing. It’s been 10 years since I was chosen as a vice-president of Union Cycliste Internationale, and I’ve been part of the effort to hold the world championship in Japan as well. If you are not familiar with Kato’s work you can check some of it out over on my Pinterest board. Follow Vintage’s board Hajime Kato (1925-2000) on Pinterest. Patrick Bernatchez “Lost in Time” at Musée d’art contemporain in Montreal. You couldn’t help but stop and listen. This reminded me of something Jack Goldstein may have done back in the day. I’ve recently stumbled on an early California Watercolorist named Virginia Gould. She is also found under the name variants, Virginia Belle Gould McCray, Virginia Gould McCray, as well as V Kay. I’ve also seen signatures with each of these variants. 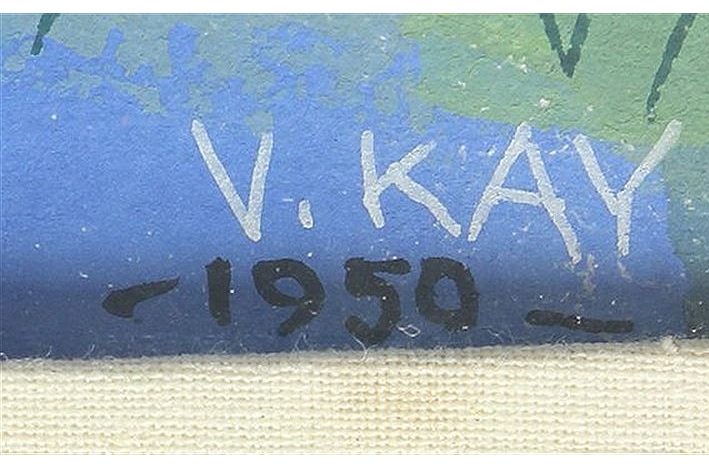 From what I have found she was born in 1917, and is still alive as of this writing. 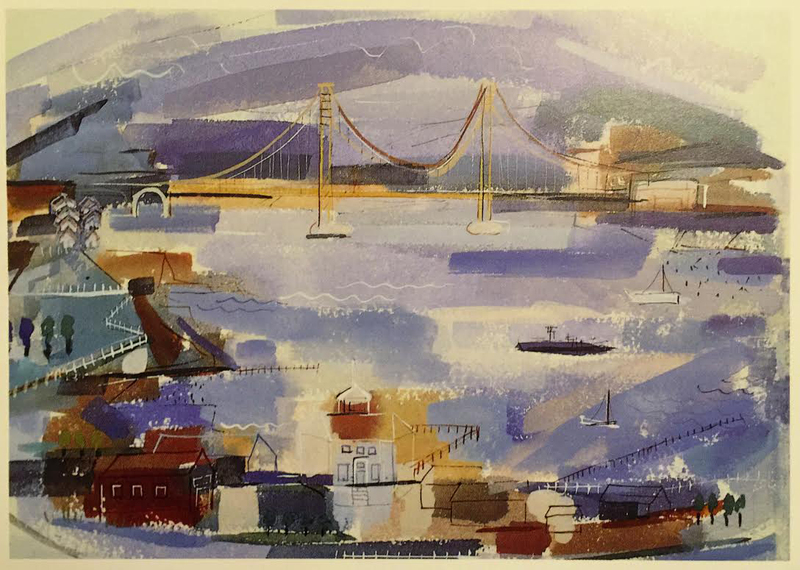 What initially turned me onto to her was her piece titled “Golden Gate Bridge” which is listed in the book American Scene Painting California 1930’s & 1940’s (ISBN-13: 978-0961052034) page 170. 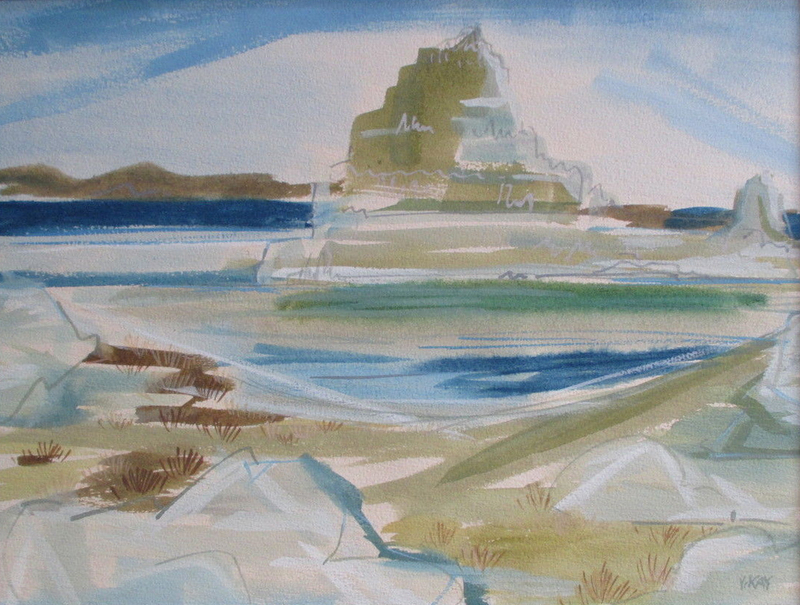 Virginia studied at Alfred Frankenstein’s Berkeley School of Watercolorists in the late 30’s and early 40’s. It is said she and other students would take field trips with John Haley, their teacher, along the East Bay shoreline and Berkeley Hills. It was one of Virginia’s favorite spots in these hills where she painted the above watercolor. I like her sense of light, colors and the simplistic intensity she achieves. Another example is below is a depiction of what appears to be Monument Valley. There’s a lot going on with minimal strokes, I like that. Here are two examples of her signatures.